During my big office shuffle, I also decided to redo my dry erase board. I had a very pretty brown and cream toile in it, but unless the ink was very black, it didn’t show really well. And since my seven kids can’t seem to keep their grubby little paws off my stuff, my markers seem to disappear, then reappear almost dried out. So I took out my scrap of burlap I had left over from a project and it was the exact size I needed. I love it when stuff works out like that! I didn’t even bother taking out the old material, I just recovered it with the burlap. And now, I can see what I write. 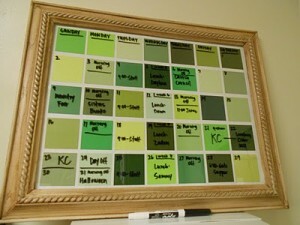 The glass in this big picture frame is the perfect dry erase material. 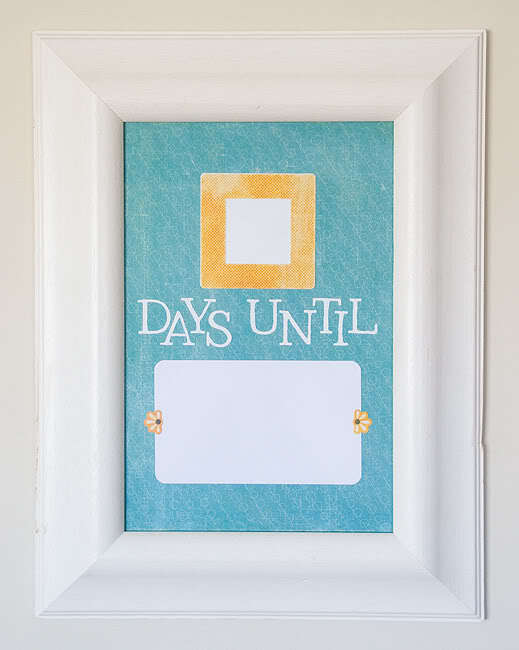 It doesn’t ghost like traditional dry erase stuff and it can be customized to your decor. Here area few more that I loved. These are a little more customized than mine, but for where this one is, I just needed a big writing surface for all these brilliant blogging ideas I come up with. Yes, this is why it’s almost blank. I have a menu board very similar to this one. I love it and use it every week. My kids have this weird habit of asking what’s for dinner four times a day. Seven kids times four times equals a big headache from the math. My menu board has eliminated this little problem. The asking. Not the headaches from math. This one, I’m seriously in love with. I have a big calendar broken down my hours and it is the brain our our family. I can’t function without a calendar. I might try to find a second frame to match mine and try to copy this one for my office. I’m in organizational OCD love with this baby. 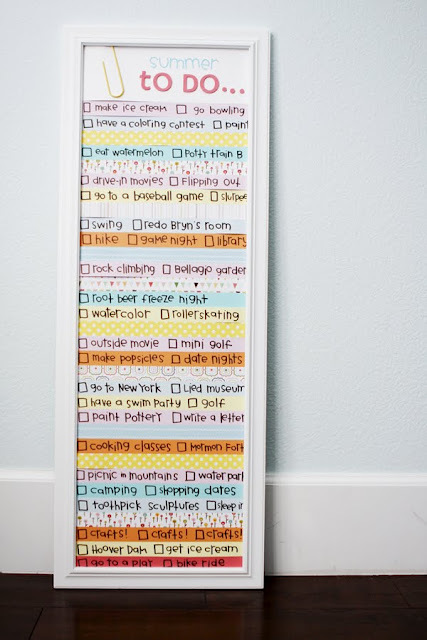 This one was super cute and allows you to separate the days. I would love something like this in our girls’ bedroom. I think it would be helpful for them to organize their week in a very visible way. Why have one of those count down things for just christmas? For my preschooler, I make paper chains and let her tear off a ring every morning. It’s a very visible way to see how close we are getting to a vacation or birthday. 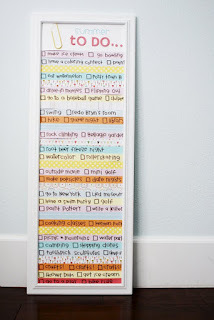 This would be better for my older kids who want to keep track, but are a little too old for our paper chain. 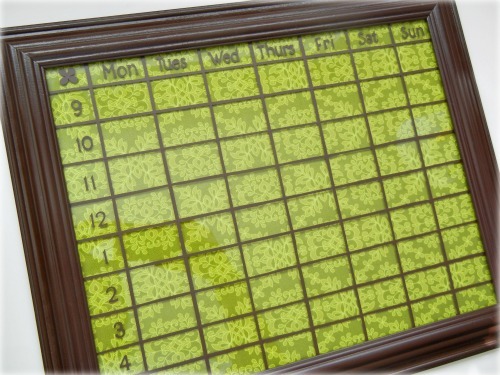 This was a cute calendar using paint chips you find at the hardware store. Very easy to customize to your colors. I love, love, love this one. I always have these grand plans for summer, but we never seem to have any ideas when the day comes. I think this would be terrific to make with the girls. The moral of this story? NEVER EVER throw away an old picture frame! 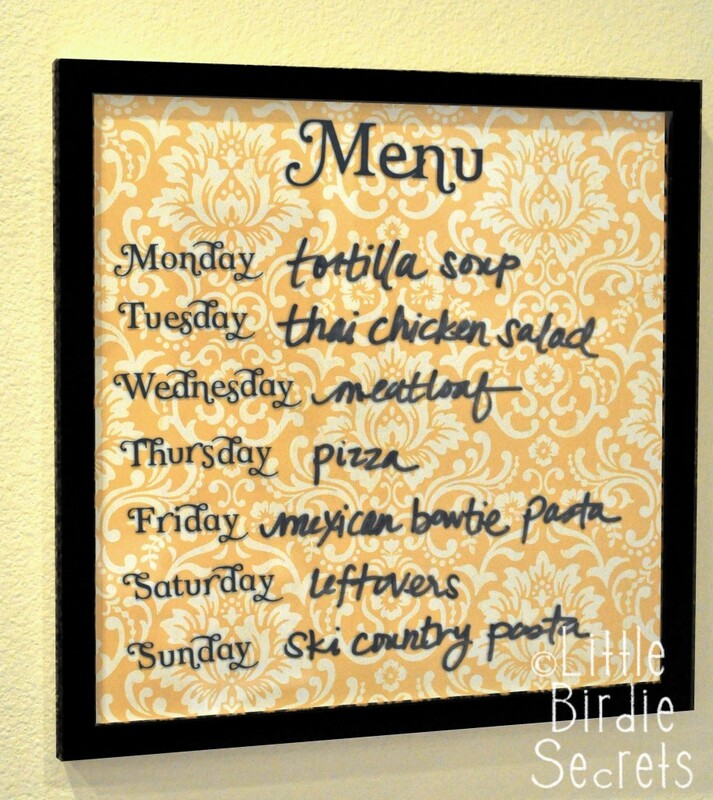 You can make a quick dry erase board for any spot in your house.